Accidentlly deleted SMS? Mistakenly deleted iPhone SMS can be a serious experience, especially when messages are really important and irreplaceable. How do I retrieve old text messages? Actually, retrieving deleted iPhone text messages is easy if you find the right iPhone text retrieval tool to help you, and you can quickly recover deleted text messages on iPhone after iOS upgrade/jailbreak, or even recover text messages from stolen/broken iPhone. UltData(iPhone Data Recovery) is best iPhone text message recovery software that provides you simple and effective way to recover deleted text messages, iMessage from iPhone (without backup), iTunes backup file or iCloud backup file. It works well with the latest iPhone 7, iPhone SE, iPhone 6s, iPhone 6s Plus, iPhone 6 Plus, iPhone 6, iPhone 5s/5c/5, iPhone 4S/4 and other previous versions. To perform iPhone SMS recovery on Mac, turn to UltData for Mac to undelete iPhone text messages on Mac. In this article, you will see how to recover deleted iPhone text messages with 3 practical methods. ​Part I: How to Recover Deleted Text Messages from iPhone device directly without Backup? ​Part II: How to Extract and Recover Deleted iPhone Text Messages from iTunes Backup? ​Part III: How to Restore Deleted Text Messages from iCloud Backup? Part I: How to Recover Deleted Text Message from iPhone without Backup? You can select "Recover Data from iOS Device" tab from the software. 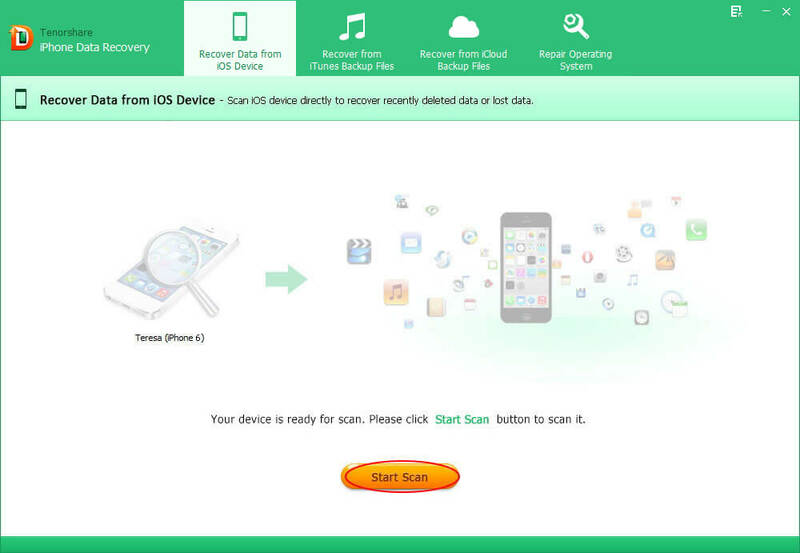 This tab recover iPhone data form iPhone memory card and inside Stroage without iTunes/iCloud Bakcups;. Connect your iPhone with computer, click "Start Scan" to scan deleted text messages from iPhone memory card/storage. It will take you several seconds to finish scanning your lost iPhone message. 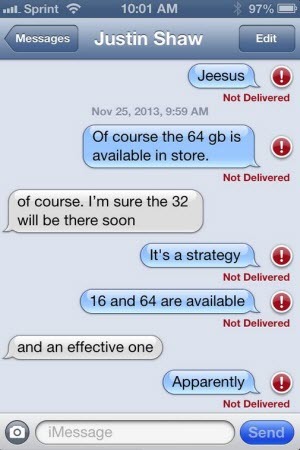 After a while, deleted iPhone text messages and other files are displayed on the interface. You can preview them before recovery to check if they are actually your need. 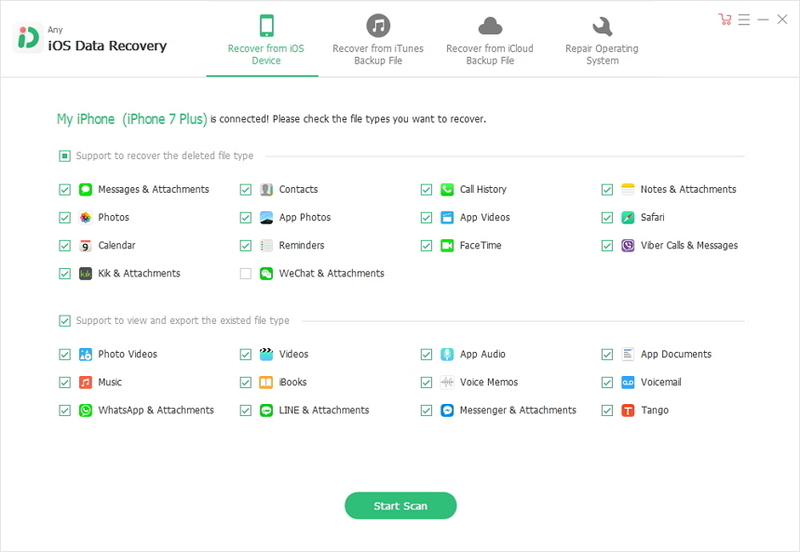 Select lost iPhone text messages and then click "Recover" to start to recover deleted text messages from iPhone and select a folder on your computer to save them. Part II: How to Recover Deleted iPhone Text Messages from iTunes Backup files? Have an iTunes backup but iTunes can't recognize your iPhone? Choose "Recover Data from iTunes Backup File" mode in UltData. No need to connect your iPhone with computer. Moreover, it can selectively recover the SMS you need, instead of all of them. It also applies to iPhone advanced message recovery. This iPhone text message recovery software will list all iTunes backup file on this computer. Check your iPhone backup file and click "Start Scan". Now, we are in the last step, isn't it charming? In the left window, select "Message" and preview the content of message in the window. Then click "Recover" button. All your iPhone messages will be retrieved to PC swiftly. The recovered messages will be listed with specific information including data, phone, type, content and name. Part III: How to Restore Deleted Text Messages from iCloud Backup? UltData(iPhone Data Recovery) enables you to restore deleted iPhone text messages from iCloud backup as well. So if you have ever backed up your iPhone with iCloud before, use this recovery mode to retrieve all deleted text messages. The steps are quite easy: Login in iCloud account -> Select and download iCloud backup -> Preview and recover deleted SMS from iPhone. Click here to learn more. Note: The newly released iOS 10 may cause iPhone message loss. So back up your iPhone data before updating to iOS 10 newer versions. If they are lost, try UltData, the best any data recovery text messages for iPhone. It can recover deleted iPhone 4s text messages, as well as the SMS on other iPhones (iPhone 4/5s/5c/5/6/6 Plus/6s/SE/7). It will get all lost data back instantly.